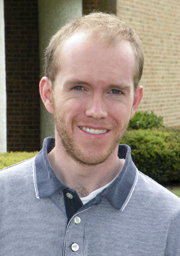 Dr. Colley graduated as an Honors College Scholar from Freed-Hardeman University, where he earned a B.A. in Communication and a B.S. in Bible. He holds a Master’s degree (M.L.A.) from Faulkner University (2009), and a Ph.D. in medieval philosophy from the University of South Carolina (2014). Caleb is currently the pulpit minister for the Macland Road Church of Christ in Marietta, Georgia. Caleb has served as the producer/director for Digger Doug’s Underground, A.P.’s premiere television program for children. He has authored a book on spiritual leadership for young men, and co-authored a book on maturity for teenagers. He writes for R&R and the A.P. Web site, and also assists with the development of Bible School Curriculum and A.P. home-schooling materials. With his considerable public speaking skills, Caleb is available for speaking engagements and is especially effective with young people.